Because I have six children, five of whom ages 2 to 16 are still living (and schooling) at home, and because I am a metaphysical / esoteric instructor (of adults), I could not help but read A New Earth and The Power of Now by Eckhart Tolle with parental eyes. “How can I expose my children to these awesome Eckhart teachings?”, I kept thinking. While watching the Chapter Two A New Earth Oprah.com webcast, I was inspired by Eckhart’s answers to a caller from Ireland who said she was trying to apply the teachings to the raising of her children ages 5, 7 and 9. She asked Eckhart for ideas how to “introduce these ideas to children.” Eckhart proceeded to give some very nifty techniques, tips and tactics to use with kids. Later in the same Chapter 2 webcast (available for free from iTunes) a shopaholic mother called in asking for help. She was concerned her five year old son has been adversely affected by her shopaholism (is that a word?). Anyway, she was a shopaholic until she read A New Earth, but was hoping to help her son avoid the pitfalls of materialism. Eckhart proceeded to give her awesome parenting advice, too, such as how not to encourage a child’s “acquisition instinct.” At that point, I was taking copious notes. Then came the caller that surprised everyone. A 13-year-old girl is reading A New Earth(!) and actually understanding it, actually able to observe her own ego, to some extent. Both Eckhart and Oprah marvelled and said no way would they have been able to do that when they were 13. Eckhart then said this generation of young people may not have to go thru as intense an ego-entrapment as “we had to”. Very cool. That resonates with me because I have encountered spiritually “wise” children (none of my own, but others!) over the past fifteen or twenty years, especially lately, and it seems there is indeed somethin’ goin’ on. Perhaps today’s kids are getting carried along in the momentum created by humanity’s evolving collective consciousness. Enough people learning to practice Presence, learning they are not the ego, identifying the false self, enough people putting the teachings to work in their lives creates a critical mass, a momentum. The younger generation can ride on our coattails, maybe, can skip some of the pain we went thru, can have an accelerated evolution. It makes sense. However since philosopher Ken Wilber and his sister-science Spiral Dynamics estimate only 2 % of humanity “gets it”, has evolved past the ego at least a little bit, I don’t see how we have much momentum on earth yet. Maybe we are about to make a breakthru, a leap up to 10% that Wilber and others postulated might come in the next fifty years. It would be wonderful to have all this Eckhart Tolle wisdom for raising spiritually present children in one place, I thought. So I created this page on our Mystery School website and will keep adding to it. PLEASE let me know of any Eckhart references to children that you know of… I might have to make a page on our blog for this, too, so that the RSS feeds will help get this topic out there, help more like-minded parents to find each other. We also have a forum called EsotericParenting where we discuss spiritual awakening-style parenting, so come on over and join in, bring your ideas, etc. 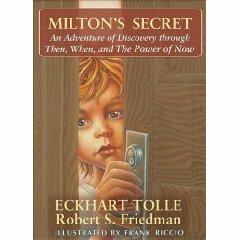 Eckhart Tolle references to children & parenting in various lectures, CD’s, etc. 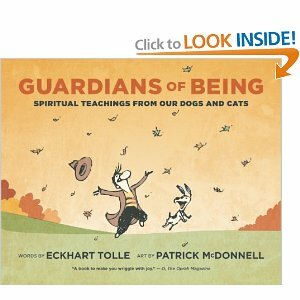 Eckhart teachings written for adults that can be applied to children in PoN and aNE Our own and our readers’ ideas how to tailor specific Tolle teachings to children and teens. Check out Tolle’s book for young adults and teenagers. We “old” adults love it too, actually!